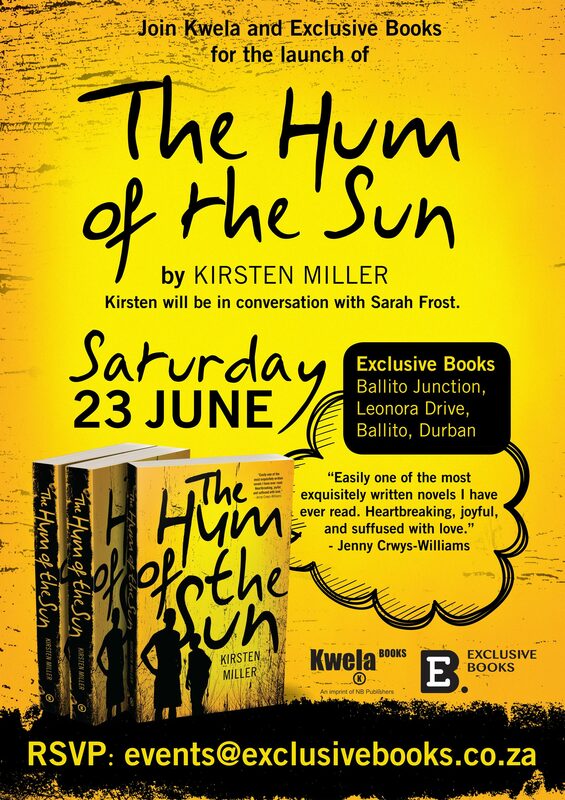 Excited for the official launch – hope you can join in at Exclusive Books at Ballito Junction, KZN, on 23 June. 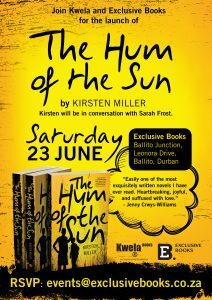 Lovely to share the wonderful news that Kwela Books has signed up my next novel, The Hum of the Sun, to be published in 2018. I am very much looking forward to working with publisher Carolyn Meads and her team on the production of the book.